Often confused with a heart attack, which occurs when blood flow to a portion of the heart is blocked, sudden cardiac arrest is the sudden, unexpected loss of heart function, breathing and consciousness caused by an electrical disturbance in your heart that disrupts its ability to pump, cutting off the blood flow to the rest of your body. There are more than 356,000 out-of-hospital cardiac arrests annually in the U.S. and nearly 90% of them fatal. Recognising the symptoms of a sudden cardiac arrest and responding quickly with CPR can make a victim up to 40% more likely to survive a out-of-hospital cardiac arrest, making the ability to spot those symptoms vital to giving proper and timely treatment. The root cause of sudden cardiac arrest is usually an abnormality in the heart’s rhythm, also known as arrhythmia, which can result from a problem with your heart’s electrical system. Unlike other muscles in your body your heart has its own electrical stimulator, rather than relying on signal transmitted through your nervous system. If something goes wrong with the the flow of electric signals through your heart the results can be arrhythmia. This can cause your heart to beat too fast, too slow or in an irregular pattern. While arrhythmia is often harmless, it can occasionally cause the heart to stop beating all together. Ventricular fibrillation is the most common type of arrhythmia leading to cardiac as rapid, erratic electrical impulses cause your ventricles to quiver uselessly instead of pumping blood. On occasion, victims of sudden cardiac arrest may show other symptoms in advance of their collapse, including fatigue, fainting, blackouts, dizziness, chest pain, shortness of breath, weakness, palpitations or vomiting. In the event that a person shows any number of the symptoms at the same time, 911 should be called immediately. 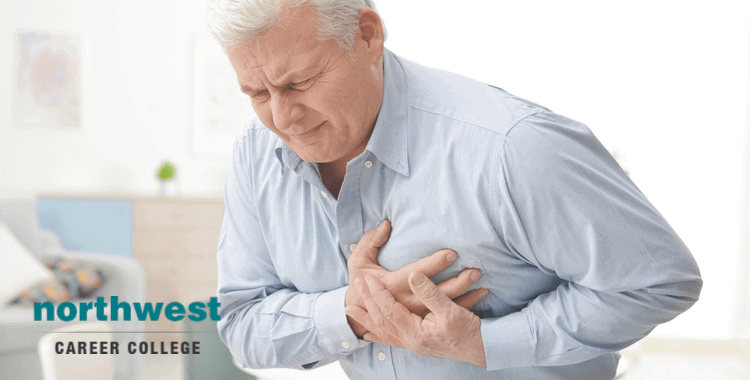 Unfortunately, sudden cardiac arrest often occurs with no warning at all and, when the heart stops beating, the resulting lack of oxygenated blood to the brain can cause brain damage in just a few minutes. Death or permanent brain damage can occur within four to six minutes. Time is critical when dealing with a victim of sudden cardiac arrest and understanding what symptoms to look for and how to apply CPR quickly could be key to saving someone’s life.